"Gamification typically involves applying game design thinking to non-game applications to make them more fun and engaging. Gamification has been called one of the most important trends in technology by several industry experts. Gamification can potentially be applied to any industry and almost anything to create fun and engaging experiences, converting users into players." You might find this "Gaming Goes Mainstream" infographic interesting. An example of an attempt to apply gamification to the pharmaceutical industry is the "Syrum" Facebook game being developed by Boehringer Ingelheim. The release of that game, however, has been delayed for nearly a year (see "Pharma & Fun, Not Oxymoronic? Here Comes Gamification!" and "'A Drug is Developed:' Easier than Launching an Educational Facebook Game about Drug Development?"). I know from first-hand experience how difficult it is to develop educational games. 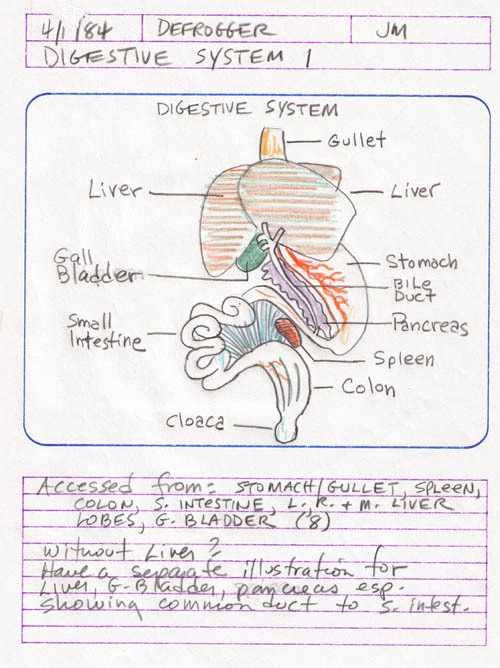 I started my career -- such as it is -- back in 1984 designing an educational life science personal computer-based game. It was a simulation of a frog dissection. 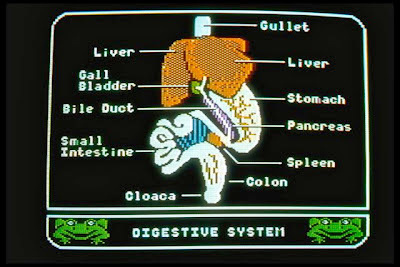 The objective was to use the keyboard or joystick to move a simulated hand, pick up simulated instruments, and "dissect" a simulated frog and identify its organs. At the end, the user (usually a high school biology student) was challenged to reverse the process by putting the frog back together (the game aspect). If successful, the user was rewarded with a fun animation of the (simulated) frog dancing off in a top hat and cane -- no harm done (except to the frog I dissected doing research for the simulation). The codename was "Defrogger" but it was published by Scholastic as "Operation: Frog". In my proposal to Scholastic I said that "dissection of a living animal or one stewed in formaldehyde is an unpleasant experience for many biology students and teachers alike. Not only does it require the sacrifice of many animals, it is also expensive and potentially dangerous. 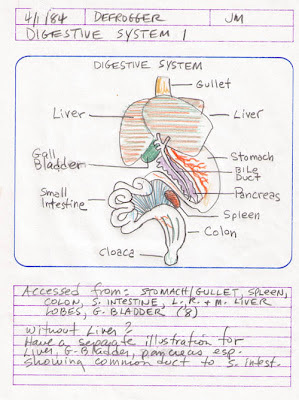 Consequently, many children never carry out a dissection." Okay, I was playing it up a bit too much. However, the program was a hit. It was featured in the October 15, 1984 issue of Newsweek Magazine and played a role in a 1987 California court case in which Jenifer Graham, a brave 15-year-old high school girl, defended her right to refuse to dissect a frog. Ms. Graham suggested "she could learn just as much from models or computer graphics as her fellow students learn from the dissection of a frog. It seems incredible," said a Los Angeles reporter at the time (here), "that a school would resort to a dead frog, formaldehyde, forceps and scalpels in this age of computer graphics." At the time, Ms. Graham was vilified. 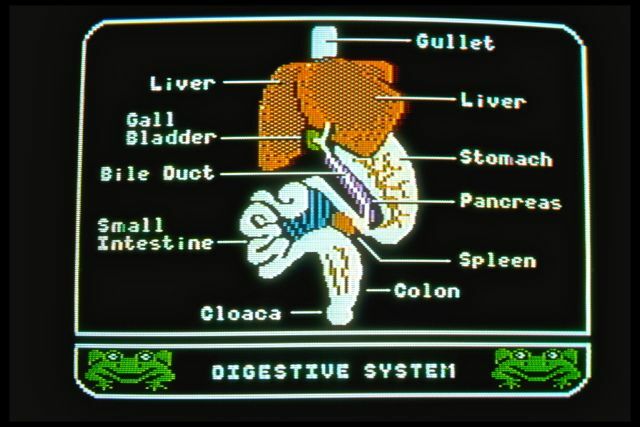 Unfortunately, although we've come a long way in terms of computer graphics and gaming, students who refuse to dissect real frogs are still vilified (see, for example, "Middle school student claims teacher bullied her over refusing to dissect frog"). In 1987 Apple ran a TV ad featuring Jennifer. Because of protest from the pharmaceutical research industry (see here), it was taken off of the air a few days after. This was the script: "Last year in my biology class, I refused to dissect a frog. I didn't want to hurt a living thing. I said I would be happy to do it on an Apple computer. That way, I can learn and the frog lives. But that got me into a lot of trouble, and I got a lower grade. So this year, I'm using my Apple II to study something entirely new -- constitutional law." I also found this amazing video review by Lazy Game Reviews (@lazygamereviews)! For more Operation: Frog screen shots, see my Pinterest Gamification Board. Genius. In 2005 I presented to a class of my peers a concept for gamifying blood sugar testing in children with type 2 diabetes. I was laughed out of the room.